Why are people breeding tiny turkeys when chickens exist? While having a 30-pound turkey on the table was once the Thanksgiving dream, today’s holiday’s celebrations are a bit more pared down. That giant turkey doesn’t usually taste all that great, for one thing—likely pretty dry, needing to be doused with gravy. And as families grow up and spread out more across the country, the ginormous party full of relatives can be rarer than the now-popular smaller gatherings. So some breeders are now trying to develop smaller turkeys, according to Bloomberg today in an article quizzically titled, “Millennials Are Disrupting Thanksgiving With Their Tiny Turkeys.” Okay, I have as much fun blaming millennials for lots of stuff as anyone, but this seems like a stretch. It’s not millennials’ fault they may have to travel far from their relative homesteads to find employment. Or that they’re against food waste. Another drawback to the giant bird is the fact that smaller households and fewer home cooks mean that people aren’t taking advantage of leftovers the way they used to, using poultry carcasses to make stock, or spending weeks chowing down on turkey chili or hash. 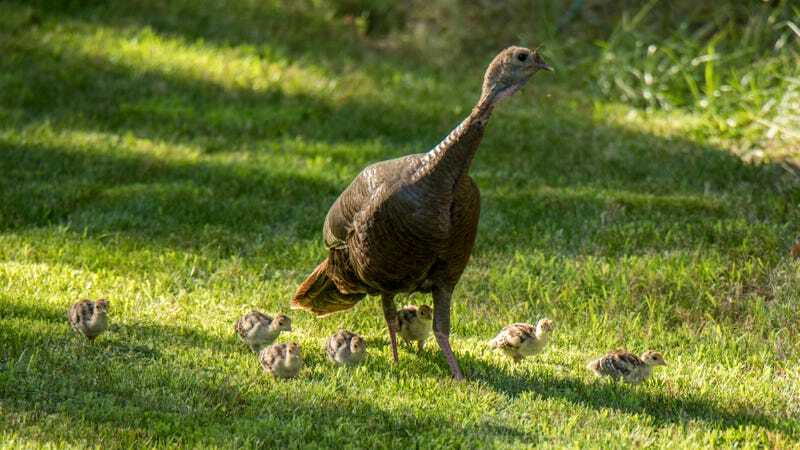 As a result, while suppliers like Bell & Evans still have 12- to 14-pound turkeys as their the biggest holiday sellers, the company “is working with a breeder to make tiny turkeys that consumers will eat all year. Owner Scott Sechler said the new breed, which isn’t yet sold publicly, ‘fills out nicely,’ unlike other undersized birds, which can be bony.” Bloomberg adds that even Butterball, known for giant birds, “also offers a Li’l Butterball that can be as small as six pounds.” While we applaud this ambitious genetic ingenuity, we’d like to point out that tiny turkeys do in fact already exist. They’re called chickens, and they’re delicious. And we’ve got a few ideas to make your roast chicken even better.